Saxophonist Tineke Postma will receive the Buma Boy Edgar Prize and will perform with Dutch as well as international top musicians including Greg Osby and Terri Lyne Carrington. Saxophonist, composer and band leader Tineke Postma will receive the Buma Boy Edgar Prize 2015 at the Bimhuis. This most important Dutch prize for jazz and improvised music consists of a sculpture made by Jan Wolkers, a sum of €12,500 and a concert night at the Bimhuis curated by the winner. She will perform with three formations featuring top musicians from Dutch and international jazz. Her Tineke Postma Quartet, which has been active for ten years already, will perform Tineke’s original compositions from the album Dawn of Light, which has been awarded with an Edison. Important characteristics are lyricism, space, intense rhythms and classical influences, such as an arrangement of modern classical composer Heitor Villa-Lobos. 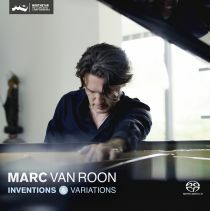 With esteemed jazz pianist Jasper van ’t Hof she will carry on a musical dialogue, with influences from electronic jazz. In her new international group Sonic Halo, Tineke will perform alongside her early teachers and band leaders Greg Osby (US) on saxophone and Terri Lyne Carrington (US) on drums. Compositions by both Osby and Postma combine contemporary jazz with hip New York grooves. The group is complemented by pianist Florian Weber (Germany) and bassist Clemens van der Feen, with a guest appearance by guitarist Reinier Baas. The evening will be presented by Hadassah de Boer and will be broadcast live by VPRO’s Vrije Geluiden on Radio 6. ‘Notwithstanding the fact that Tineke Postma is an established name and an unmistakable ambassador of Dutch jazz, she disposes over enough individuality, guts, passion and potential to develop her own style of contemporary jazz both in the Netherlands and abroad’ (excerpt from the jury report of the Buma Boy Edgar Prize). For this concert you can purchase your tickets only online. Discount prices are available for students, CJP and Stadspas holders. The Bimcard or relatiekaart is not valid for this concert. The Bimhuis Café and box office open at 7 PM. The restaurant will be closed.